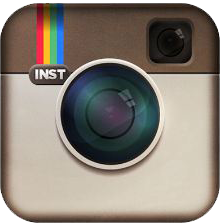 Bouldering is a kind of rock climbing which involves relatively short climbing distances made without a rope and without any special climbing equipment. While people climbing the face of a boulder are generally only going up a few meters, the surfaces that they climb are chosen for being particularly difficult to scale. In the United Kingdom, the routes that people use to climb on boulder faces are usually called “problems”, because it takes some thought to solve the problem of how to get to the top. Granite Arch’s Indoor and Outdoor bouldering areas are extensive and unique! Generally the only piece of safety equipment that one will use for climbing a boulder will be a large thick pad on the ground below. This is called a crash pad – in addition, when someone is climbing on a boulder they usually have people below them on the ground who can reposition the crash pad to catch the person in the event of a fall. While it is possible to climb many boulder faces without any kind of equipment at all, most climbers make use of a few basic items, such as climbing shoes, sports tape, and loose chalk which is kept in a bag on one’s belt and used to get a better grip going up. 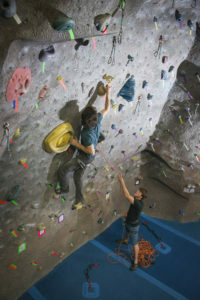 Boulder climbers may also make use of a brush to help them clean the places where they need to get a grip. All in all, however, the gear used is minimal and the only piece of really essential equipment for bouldering is a crash pad for safety’s sake. The most popular place in the world to travel for bouldering is Fontainebleau, to the south east of Paris, France. 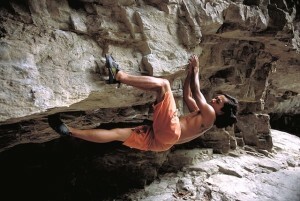 The Fontainebleau system and the John Sherman V-Grade system are the two systems for rating the difficulty of bouldering ascents. 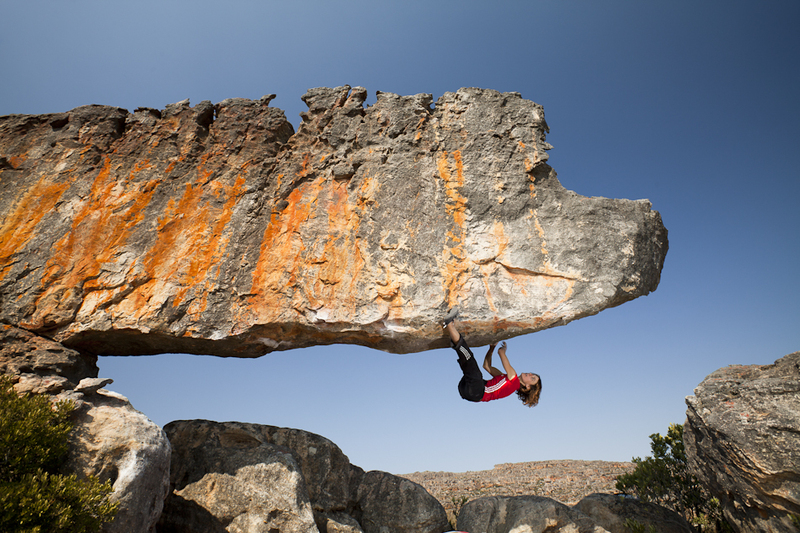 The sport of bouldering continues to develop, and more and more difficult climbs are being located all over the world, with the most difficult one on the John Sherman V-Grade system being the Wheel of Life in the Grampians of Australia. While bouldering was originally just seen as a training method for rock climbers during the Victorian era of mountain climbing, the late nineteenth century and early twentieth century began to see the related skill sets of rock climbing, ice climbing and bouldering split off from being thought of only as necessary parts of mountain climbing and were pursued more in their own right as sports with their own specific challenges and focuses. 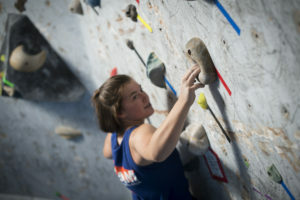 If Fontainebleau is too far to go for bouldering, there are also great locations to engage in the sport in Texas, California, Georgia, Alabama, and many countries such as New Zealand and South Africa. 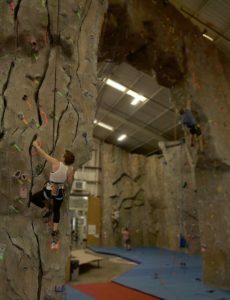 An increasing number of gyms are also making boulder classes available , so even if you live in an urban area far from a suitable climbing location you should be able to start trying it out and see how you like bouldering!